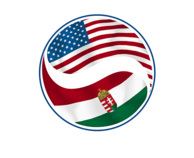 The Amerikaiak a Magyarokért Alapítvány and the Amerikai Magyar Klub were started by Balogh Gyula in Memory of Dr. Elemér Balogh, an American Citizen who made a substantial difference through his lifelong work in helping the economy and churches in Hungary. He was the 2005 Pro Ecclesia Hungariae award recipient from the Catholic Bishops Conference in Hungary. He was also a donor to Protestant churches. Dr. Balogh was an American citizen whose contribution to Hungary started already in the 1960’s when he helped to organize charity balls whose profits were sent to Hungary to buy motorcycles and automobiles for the priests. He brought the parties and funding together to purchase the Magyar House in New York City, which still exists, and founded the Széchenyi Society also in New York. He started various American Bank subsidiaries in Austria and well as the American Chamber of Commerce in Austria and was its President as well as later its President Emeritus. He helped start the American Chamber of Commerce in Hungary (AMCHAM). He was instrumental in starting the first East West bank in Hungary (CEIB) in 1979 and was its first Managing Director. He arranged for hundreds of millions of dollars in loans from western banks for economic development in Hungary. He created scholarships for a girls’ school in honor of his daughter Dorothy, as well as obtaining the home for the Batthanyi Lajos school for blind children. He created and funded the first MBA type seminars in Hungary with Webster University to help rising executives adapt to western business practices (1988-94) prior to the escape of Hungary from Soviet Communist rule. He was truly ’egy magyar ember’. The Balogh family history of helping Hungary can be traced back hundreds of years. Dr. Almási Balogh Pál born in 1794 was the family physician of both Kossuth Lajos and grof Széchenyi István who is sometimes called the greatest Hungarian. Dr. Almasi Balogh Tihamér was also a physician and writer who was encouraged by the famous Hungarian writer Arany János to produce classical writings such as A miniszterelnök bálja (1869); Clarisse (1875); A milimári; A Borzáné Marcsája (1880); Két év múltán (1881); A tót leány 1882, Czigány Panna (1884); Aranylakodalom (1885); Sári néni (1885); Az elválhatatlanok (1895). Lefordította Molière: Botcsinálta doktor c. vj.-át (1881). Both of these famous physicians treated the poor for free. Dr. Almási Balogh Elemér was the creator (1898) and President of the HANGYA cooperatives for 38 years, which were founded by grof Károly Sándor. They had over 700,000 members and over 3000 member cooperatives and resurrected the economy of Hungary in the early nineteen hundreds. He was also the prime mover in creating the Economic University of the the Royal Hungarian University (the Közgazdasági Egyetem, now part of Corvinus University). His son by the same name, Dr. Elemér Balogh, is in whose honor the Amerikaiak a Magyarokért Alapítvány (foundation) was built. (Jules) Gyula Balogh, the President of the foundation (he serves pro bono), has worked as a consultant and executive at over 20 firms such as Citibank (world wide credit and risk models, investment information systems, consumer marketing, acquisitions, creating new businesses, senior executive development programs), IBM (first computer time sharing systems), Boeing Aerospace (radar recognition of missiles, computer based manufacturing), Haskins Laboratories (computer reading machines for the blind), health information firms, Internet startups. He also worked on turnaround strategies for various troubled companies. He has an MBA in Finance from Columbia University , an M.Sc. from the NYU School of Engineering, and a B.Sc. from the University of Notre Dame. He was President of the Hungarian Reformed Federation of America and the Kossuth House from 2005-2008, is currently Co-President of the American Hungarian Federation which was founded in 1906, and is a board member on various Hungarian foundations..